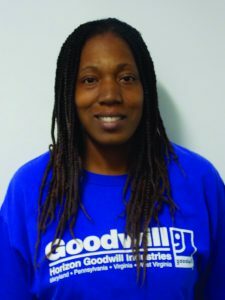 Santana, “Sandy”, Benbow started with Goodwill in August 2016 in the Donated Goods Retail division. She began as a lead pre-sorter in the processing department on Pennsylvania Avenue in Hagerstown, MD and was promoted in August 2017 to Assistant Processing Supervisor. Sandy is originally from South Carolina and has been residing in Hagerstown for 11 years. She is the mother of two beautiful girls, Danika (6) and Devaeh (7). In her spare time, she enjoys playing basketball, cooking, writing poetry, and spending time with her girls. 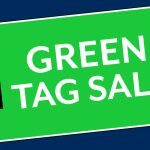 Before coming to Goodwill, she worked as an Assistant Restaurant Manager for 3 years and a stay at home mom. We are looking forward to celebrating Sandy’s continued success!